We wish Auxiliary Bishop Dominick J. Lagonegro nothing but the best as he begins what we hope will be an enjoyable retirement. As episcopal vicar of Orange, Sullivan, Ulster and Rockland counties since 2014 – and Northern Westchester/Putnam and Dutchess counties also in his portfolio for five years prior – Bishop Lagonegro has long been a friendly and familiar face to Catholics in the northern region of the archdiocese. 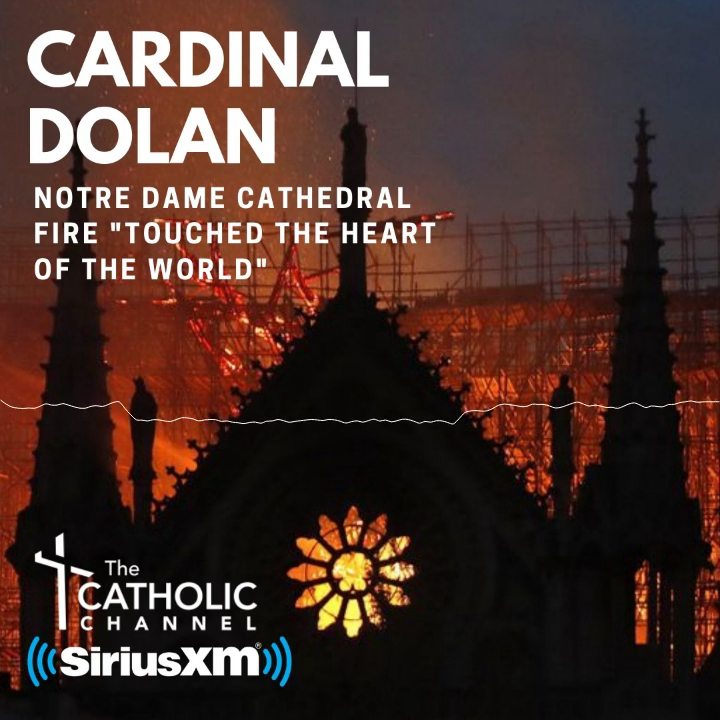 That impressive title – which means he’s the official representative of Cardinal Dolan in those counties – doesn’t even begin to tell the story of his service and dedication to the people of God in the upper region of the Archdiocese of New York. Beginning early in his priesthood with assignments to St. Joseph parish in Kingston and Holy Trinity in Poughkeepsie, he went on to an appointment as pastor of St. Denis-St. Columba, Hopewell Junction, in 1989, and in 1992 was the founding pastor of St. Columba when it was separated from St. Denis in that fast-growing part of Dutchess County. After his December 2001 ordination as an auxiliary bishop, he was named pastor of Sacred Heart parish in Newburgh and vicar of Orange County and in 2009 was appointed episcopal vicar of the entire region. Throughout his ministry, Bishop Lagonegro served on many Church and civic committees, commissions and chaplaincies, including service as chaplain of the Police Departments in Poughkeepsie and East Fishkill. He’s been a member of the Knights of Columbus, Rotary Clubs and Human Rights Commissions in three jurisdictions. An active and involved churchman from the time of his 1969 ordination as a priest until the present day, Bishop Lagonegro has found joy in his priesthood, and his service as a bishop has been a gift to the Archdiocese of New York. His personal warmth and down-to-earth style were on full display last October in his homily at the 40th annual Columbus Day Mass in St. Patrick’s Cathedral, where he spoke of his passion for his Italian heritage and his relationship with his Italian immigrant grandfather who had responsibility for three siblings when he came to the United States as a teenager. Bishop Lagonegro could be just as passionate about his Portuguese heritage from his mother’s side of the family, and loved to share the story of an aunt and uncle who witnessed the miracle of the sun that marked the last vision at Fatima, Portugal, in 1917. The bishop, a White Plains native, proudly wore a crucifix given to him by St. John Paul II, also a lifelong devotee of Mary and Fatima. Bishop Lagonegro submitted his letter of resignation to Pope Francis on March 6 when he turned 75, the bishops’ retirement age. The pope accepted it on Monday. It was just 10 months ago, in September 2017, when the pope accepted the retirement of Auxiliary Bishop Gerald T. Walsh, another good and faithful bishop who served with distinction in a series of high-level archdiocesan appointments, including rector of St. Joseph’s Seminary, vicar general and vicar for clergy. a position he continues to hold. We’re grateful and blessed by the faithful and highly effective service of these bishops – both of whom, we might note, have always been accessible to Catholic New York and supportive of our mission. They’re still in our prayers, as we hope they’ll remember us in their prayers as well.